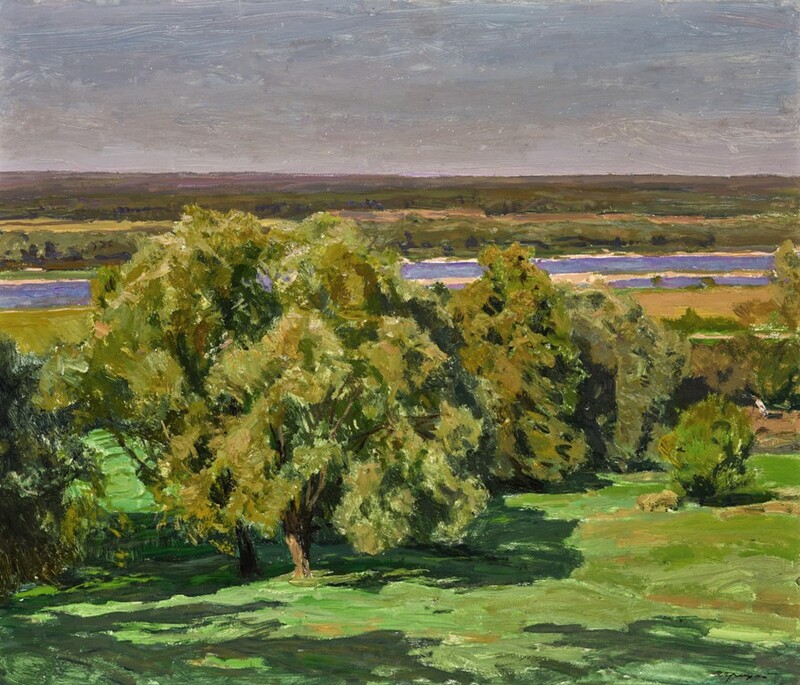 One of the top lots of the auction "Soviet art" is the work of Aleksey Gritsay "August on the Oka". At one time, the General Secretary of the CPSU Central Committee, Mikhail Gorbachev, presented it to the Prime Minister of Iceland, Steingrimur Hermannsson. Estimate is $ 20-30 thousand. In total, more than 100 lots will be exhibited, including the traditional "gentleman's" set of classics of social realism - the works of Vladimir Stozharov, Valentin Sidorov, Georgii Nisskii, etc.